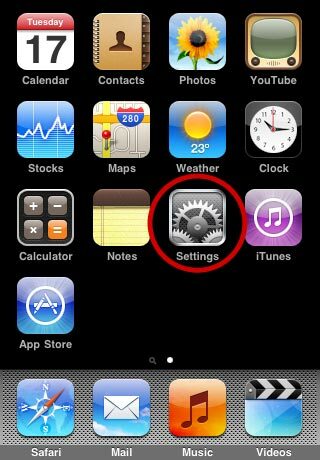 If you're having difficulty setting up your email account on a iPhone, iPod, or iTouch versions 2-3.x , follow these instructions. Then you select Other from the bottom of the list. Description A short description for this account. Your emaill address will work. Note: If a "POP account verification failed" warning appears during these steps you can ignore it. This is just the mail app attempting to connect to the server using its default SSL authentication. Password This is the password you entered during last step. Once you have all the info filled in click Save. This will take you back to the mail account listing screen. Make sure MD5 Challenge-Response is checked and then go back two screens and select SMTP. Make sure Use SSL is set to OFF and the Server Port is 587. Follow the same steps from above with Authentication. Once done all you do is back up to the main account settings screen and click Save from the top. You can now send and receive email with your MacServe.net account.